Many of you reading this are volunteers. And I know what many of you are thinking…is there life after the Bazaar? For others who only make an annual pilgrimage to the Bazaar each year, let me assure you that the Bazaar is not the only event on the Temple calendar. Yes – there is life after the Bazaar…and yes – there are other exciting events to look forward to each year at our Temple. 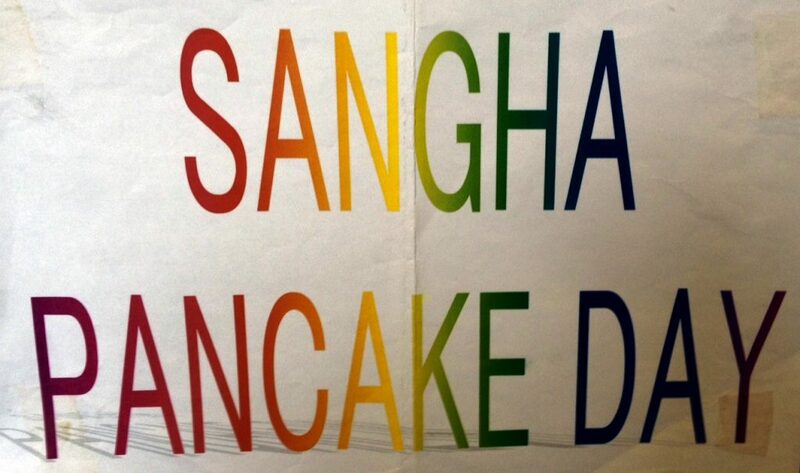 Once we have all recovered from the Bazaar, please join us after the December Shotsuki service for our annual TBC Sangha Pancake lunch on December 2nd. Lunch is just $7.00; no charge for Kids Sangha members. Tickets will be sold in the lobby prior to the 11:00am Service as well as in the Social Hall after the service. …and what is the next big thing? Mochi Tsuki in the last week of December – stay tuned for further details!